A 10-minute walk from Ischgl's centre and a 5-minute walk from the nearest ski lifts, The Hotel offers a sauna and a steam room. Free Wi-Fi is available. The rooms at the The Hotel - himmlisch wohlfühlen have cable TV and a bathroom with bathrobes and hairdryer. Guests can enjoy a large buffet breakfast prepared with seasonal ingredients and a light snack in the afternoon. The winter garden and the day bar invite you to spend some relaxing moments. A fitness room and massages are available as well. Free private parking is possible on site. Guests can store their ski equipment free of charge at the Fimbabahn Cable Car. As of summer 2013, the Silvretta All Inclusive Card will be included in all rates during summer season. It offers free use of cable cars in the region, of the buses from Landeck to Bielerhöhe, and free access to the indoor and outdoor pools and to the lake in the Paznaun Valley. Just 250 metres from the Silvretta Cable Car in Ischgl, Hotel Martha is a 3-minute walk to the village centre, and features a sauna and a solarium. Ski passes can be bought on site, and garage parking is available as well on request. All rooms and apartments have a private bathroom and a flat-screen TV with cable channels. The apartments and some rooms have a balcony with views of the surrounding country side. A kitchen with a dishwasher, microwave and refrigerator are further features of the apartments. A miniature golf course and sun terrace are part of Hotel Martha’s property. A public outdoor swimming pool, bowling alley and tennis courts can all be reached within a 3-minute walk from Hotel Martha. From May to October, the Silvretta All Inclusive Card is included in the rate. This card offers many free benefits and discounts in the Paznaun Valley and in the Samnaun region in Switzerland, including free use of local cable cars and buses. Pamper yourself with a visit to the spa, which offers massages, body treatments, and facials. You're sure to appreciate the convenience of ski-in/ski-out access at this hotel, which also features an indoor pool and a spa tub. This hotel also features complimentary wireless Internet access, concierge services, and babysitting/childcare. Hotel Garni Christine is located right in the pedestrianised area of Ischgl, about 150 metres from the Silvretta cable car and opposite the end of the ski slope. Free private parking is possible on spot. The Christine hotel has a swimming pool, a Finnish sauna, a solarium, a steam bath, an ice grotto, 2 relaxation areas, and a fitness room. Various shops and the Toscana restaurant can be found under the same roof. A rich breakfast buffet awaits you every morning from 07:30 to 11:00. From May to October, the Silvretta All Inclusive Card is included in the rate. This card offers many free benefits and discounts in the Paznaun Valley and in the Samnaun region in Switzerland, including free use of local cable cars and buses. This family-run hotel offers a quiet location in the centre of Ischgl, only a 2-minute walk away from the Silvretta Cable Car, and offers free access to its spa area with steam bath, Finnish sauna and a brine bath. Hotel Gramaser features traditionally furnished rooms and suites with balcony. In the morning a rich breakfast buffet is served. Half-board includes dinner with an appetiser, soup, salad, and dessert buffet, as well as a choice among 3 set meals. The restaurant serves Tyrolean and international specialities, vegetarian dishes, and diet cuisine. Hotel Gramaser also features a steak house. The sauna and the steam bath can be used free of charge. Massages are offered on request. 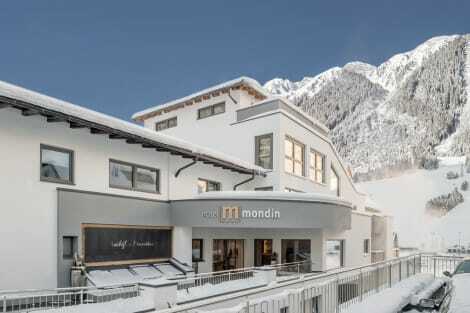 Only a 5-minute walk away from the cable cars and a 10-minute walk from the centre, this family-run hotel offers a quiet location at the entrance to Ischgl. Surrounded by a breathtaking mountain panorama, Hotel Ischgl features elegant and comfortable rooms, a cosy bar, and a spacious sauna area. In the evening 5-course meals, a salad buffet, and a wide selection of fine wines are served in the dining room. Culinary theme nights are regularly hosted. A quiet reading room and a private underground car park are also available at Hotel Ischgl, and guests can rent a ski depot at the cable car station for a reduced price. As of summer 2013, the Silvretta All Inclusive Card will be included in all rates during summer season. It offers free use of cable cars in the region, of the buses from Landeck to Bielerhöhe, and free access to the indoor and outdoor pools and to the lake in the Paznaun Valley. Enjoying a quiet location, Hotel Solaria is only a few steps from the centre of Ischgl and the cable car valley stations. It offers a rich and healthy breakfast buffet. All bright and spacious en-suite rooms provide stunning mountain views, cable TV and a comfortable seating area. Hotel Solaria features a large spa area, featuring luxurious beauty and massage products by Ligne St Barth. Guests can also relax in the steam bath or the sauna, or get active at the indoor swimming pool and the fitness room. Ski and snowboard equipment can be rented at the Solaria. Guided hikes as well as romantic rides with a horse-drawn sleigh will also be provided on request. Garage parking is available. As of summer 2013, the Silvretta All Inclusive Card will be included in all rates during summer season. It offers free use of cable cars in the region, of the buses from Landeck to Bielerhöhe, and free access to the indoor and outdoor pools and to the lake in the Paznaun Valley. The 4-star superior Hotel Sonne is located in the centre of Ischgl, only a 2-minute walk away from the cable cars. It offers free Wi-Fi and a spa area with an indoor pool, a waterfall, and a tea bar. Facilities at the Sonne Hotel include a cosy lounge, a vinotheque, and a lobby with a large hotel bar. Half-board comprises an extensive breakfast buffet and a 4-course dinner. Austrian cuisine is available at the Sunnalm restaurant. In summer, the Silvretta All Inclusive Card will be included in all rates during summer season. It offers free use of cable cars in the region, of the buses from Landeck to Bielerhöhe, and free access to the indoor and outdoor pools and to the lake in the Paznaun Valley. Located in the centre of Ischgl, Sporthotel Piz Buin is close to the cable cars. It provides rooms with balconies and cable TV. A pool is available for guests. All rooms are equipped with bathrobes, a hairdryer and a minibar. Some also have a refrigerator and a seating area. The Hotel offers a spa area with a fitness centre, a sauna and steam bath. Massages are available on request. The area surrounding Ischgl provides various cycling paths. Information about bicycle tours can be obtained at the Sporthotel. Free parking is available on site. Hotel Piz Buin is situated in the centre of the Silvretta Arena Ischgl ski area with its many slopes and cable cars. In summer, the Silvretta All Inclusive Card is included in all rates. It offers free use of cable cars in the region, of the buses from Landeck to Bielerhöhe, and free access to the indoor and outdoor pools and to the lake in the Paznaun Valley. Relax at the full-service spa, where you can enjoy massages, body treatments, and facials. You're sure to appreciate the convenience of ski-in/ski-out access at this hotel, which also features a nightclub and an outdoor pool. Additional features at this hotel include complimentary wireless Internet access, concierge services, and ski storage. Featured amenities include complimentary newspapers in the lobby, multilingual staff, and luggage storage. Free valet parking is available onsite. lastminute.com has a fantastic range of hotels in Ischgl, with everything from cheap hotels to luxurious five star accommodation available. We like to live up to our last minute name so remember you can book any one of our excellent Ischgl hotels up until midnight and stay the same night.